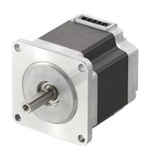 There are a variety of stepper motors available in the market. 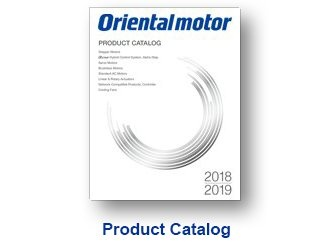 The most popular type of motor is the hybrid type, which includes the permanent magnet from the permanent magnet type, and the tooth construction from the variable reluctance type. There are 2-phase, 5-phase, and high resolution designs. 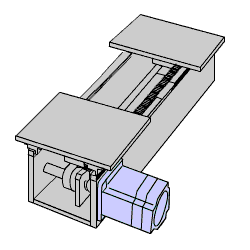 Motors can also be pre-assembled with additional options for different purposes. 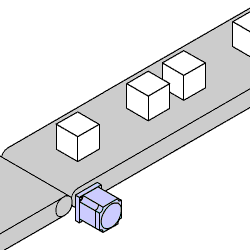 For example, there are motors with an electromagnetic brake, encoder, or gearhead. 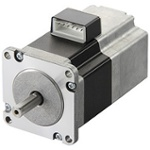 So, when does it make sense to use a specific type of stepper motor? The answer is it depends on your application. 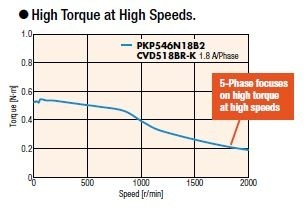 that deliver high torque at low speeds are suitable for applications such as indexing operations over short distances that require high acceleration and deceleration rates. 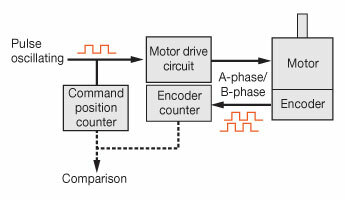 Stop accuracy of stepper motors is +/-3 arc min or (+/-0.05°). The small error does not accumulate from step to step. 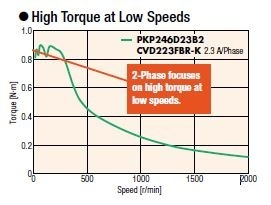 with an improved high speed winding design are suitable for applications that require fast reciprocating motions. Microstepping does not affects the stop accuracy of 5-phase motors. 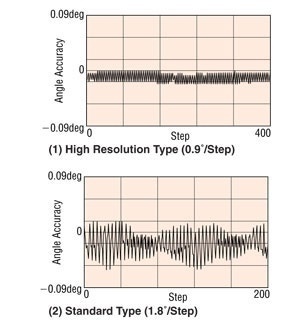 Because the basic step angle is small at 0.72° (0.36° for high-resolution type), the vibration and noise are lower than 2-phase stepper motors with a basic step angle of 1.8°. A can rotate much higher inertial loads because of its ability to generate high torque and reduce the inertia ratio between the load and the motor. Larger inertia ratios can cause overshooting and undershooting during starting and stopping, which can add missed steps or increase settling time. Our spur gears offers improved torque and backlash characteristics. 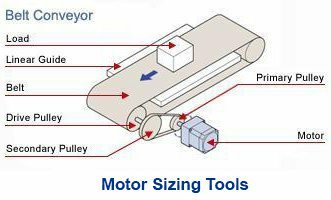 For space-saving machine designs, a geared type motor can drive heavier loads while keeping the motor frame size compact. A has 100 rotor teeth instead of 50 rotor teeth. 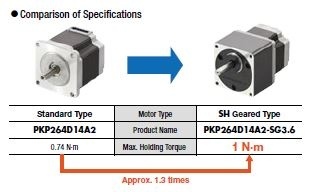 The increase in rotor teeth doubles the basic step resolution of standard motors from 200 PPR to 400 PPR, and offers better stop accuracy (2 arc min or 0.034°). An offers a power-off-activated electromagnetic brake which provides frictional torque for holding a load vertically. 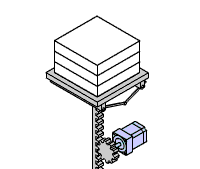 When power is accidentally cut off due to a blackout or other unexpected events, the electromagnetic brake holds the load in position to prevent it from dropping or moving. With an electromagnetic brake, the motor current can also be turned off at standstill to suppress heat or lower power consumption. 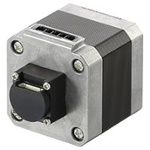 An offers a pre-assembled compact encoder that provides a pulse signal for a host controller to track its position. 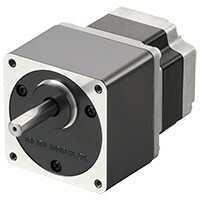 Encoders are offered at either 200 PPR or 400 PPR to match the motor's basic step resolution. 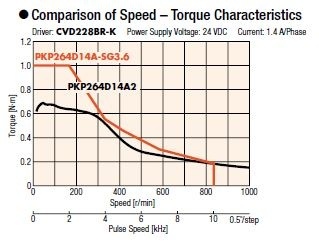 Voltage (TTL) and line driver types are available with 3 channel output (A-phase, B-phase, and Z-phase). Subscribe at the top of the page for more tips regarding these types of motors.